Most often Marigold and Kenji ignore each other. Occasionally they fight with each other. Once in a blue moon they cuddle with each other. 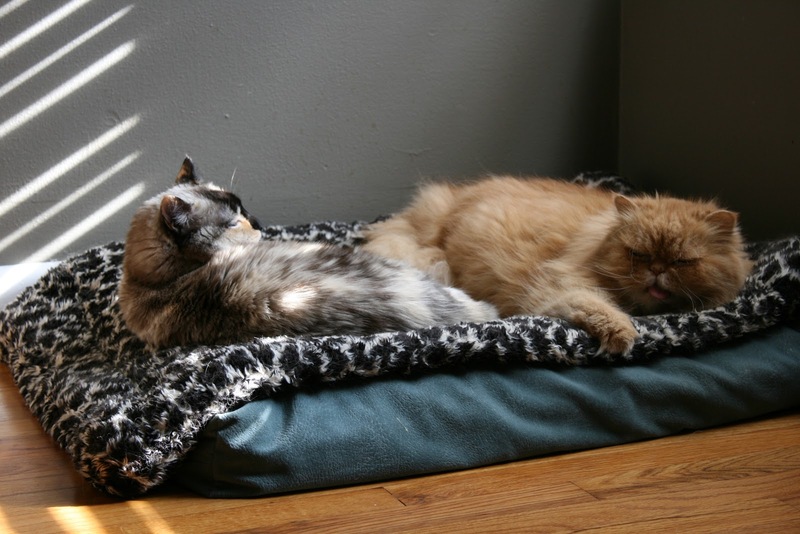 Also note that they are actually lounging on one of the many pet beds at the 1952 House. Typically they opt for the people furniture.